A Raleigh police officer who was shot multiple times Wednesday night is out of surgery. RALEIGH (WTVD) -- A Raleigh police officer who was shot multiple times Wednesday night is out of surgery. According to records, Officer Charles Ainsworth, with the Southwest District, was investigating a stolen vehicle call around 8:30 p.m. at an apartment complex off Western Boulevard near Schaub Drive and Teakwood Place when the shooting happened. Ainsworth earned a bachelor's degree in psychology from North Carolina State University. According to RPD's website, he aspired to serve with the Traffic Enforcement Unit. "The officer who was shot in this incident is out of surgery. The Raleigh Police Department is grateful for all of the support from the various law enforcement agencies, the surgeons and medical staff, and the community. We ask that everyone continue to pray for the officer and his family." "The brave men and women of the Raleigh Police Department put themselves in harm's way each and every day. Officers like Charles Ainsworth do whatever it takes to keep our city safe. We are all; Council members, City staff, and residents, thinking of Officer Ainsworth as he continues to receive care at WakeMed. We will also be thinking of all the officers who carry on today with heavy hearts, and thank them for their service." The shooting even had an effect on the community. "It's sad because he was just doing his job," resident Jessica McClain told ABC11. "It's sad that with everything going on a lot of people don't have respect for law enforcement, so it's sad." 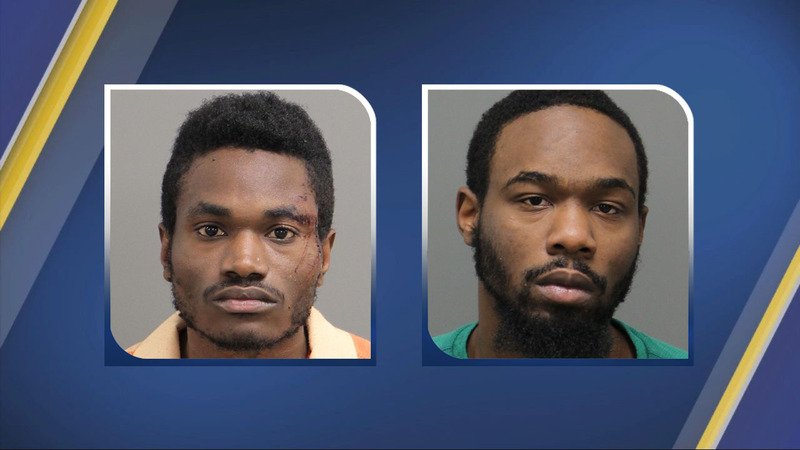 Police arrested Cedric Kearney, 24, and Antonio Fletcher, 21, in connection with the incident. The men are believed to have been in the car Ainsworth was investigating on Western Boulevard. Kearney is charged with attempted murder, assault of law enforcement officer/police officer with a firearm, and robbery with a dangerous weapon. Fletcher is charged with possession of a stolen firearm. The last time a Raleigh officer was shot in the line of duty was November 2016. That officer was injured by friendly fire. "We are praying for the best outcome. As you can imagine, this is a very difficult time for the officer, the family, and the Raleigh Police Department. We appreciate all the thoughts, prayers, and well-wishes," RPD said in a news release.